Huda Beauty Smokey Obsessions Eyeshadow Palette | Gemma Etc. I was instantly excited when Huda Beauty revealed she was going to release four mini palettes following the success of the Rose Gold and Desert Dusk Palettes. Eyeshadow palettes are my weakness.. some women go weak at the knees for designer shoes or handbags, but for me my vice is definitely eyeshadow palettes and I just cannot resist a pretty palette. 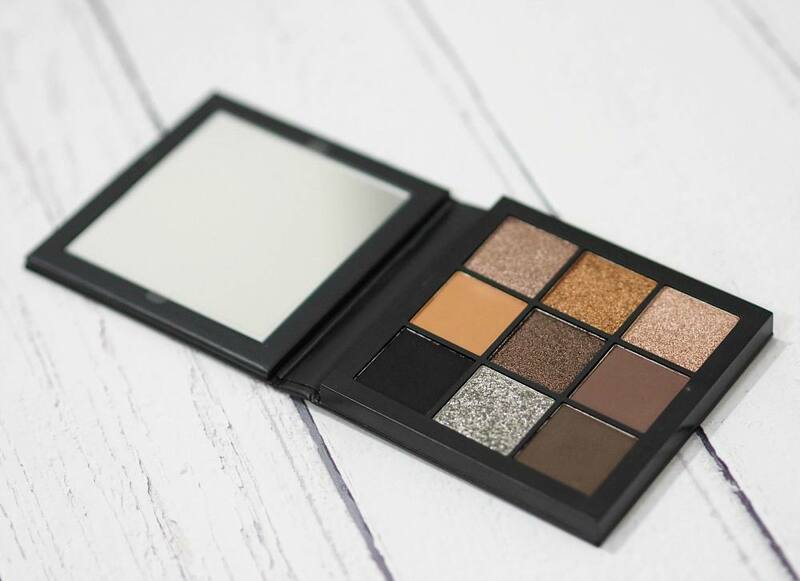 I never bought the Huda Beauty Rose Gold Palette as I wasn’t sure the shades would work for me, but the Huda Beauty Desert Dusk Palette was right up my street as purple is my favourite colour. I have been completely blown away by the Desert Dusk Palette, and I have a full review post coming very soon but I was lucky enough to receive the Huda Beauty Smokey Obsessions Eyeshadow Palette £25 as a gift and I couldn’t wait to try it as I love the Desert Dusk Palette so much. All of the Huda Beauty range can be found on Cult Beauty with all four of Huda Beauty Mini Obsessions Palettes. Three of the four mini palettes are mostly neutral whereas the Electric Obsessions is a super bright palette. 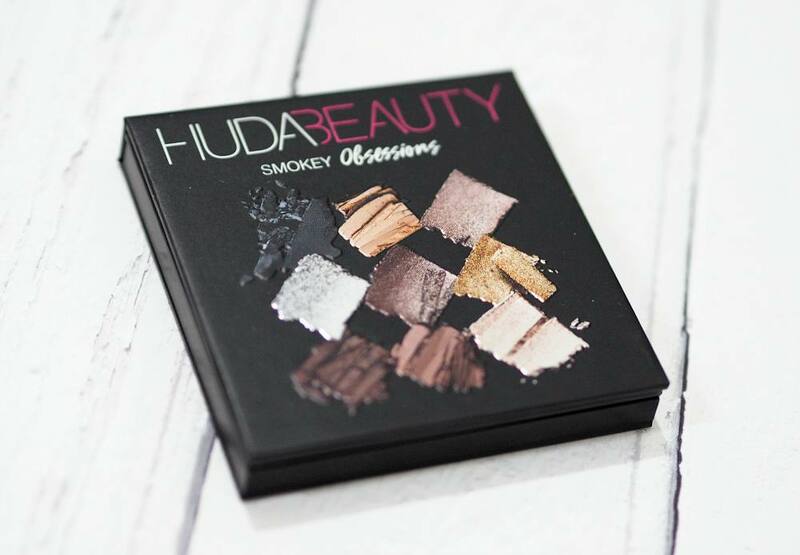 The Huda Beauty Smokey Obsessions Eyeshadow Palette contains nine eyeshadows in a small, square compact with a mirror within the lid. I read a few complaints about the size of the palette for the £25 price however each of the nine pans contain 1.11 grams of product each which is pretty much a full size eyeshadow so nine full size eyeshadows for £25 is pretty good going in my opinion especially shadows as incredible as these. The packaging is definitely small but there’s next to no excess packaging, and the base of the palette is plastic so it’s a lot more robust than other cardboard palettes within my collection. Shade 1 – an extremely intense matte black, and one of the most intense black mattes I’ve tried. 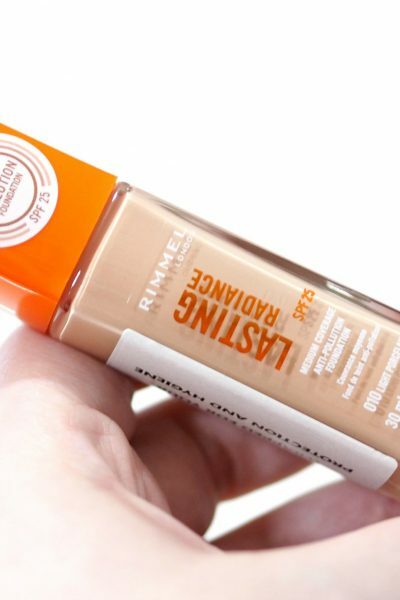 Shade 2 – a warm toned light brown matte. 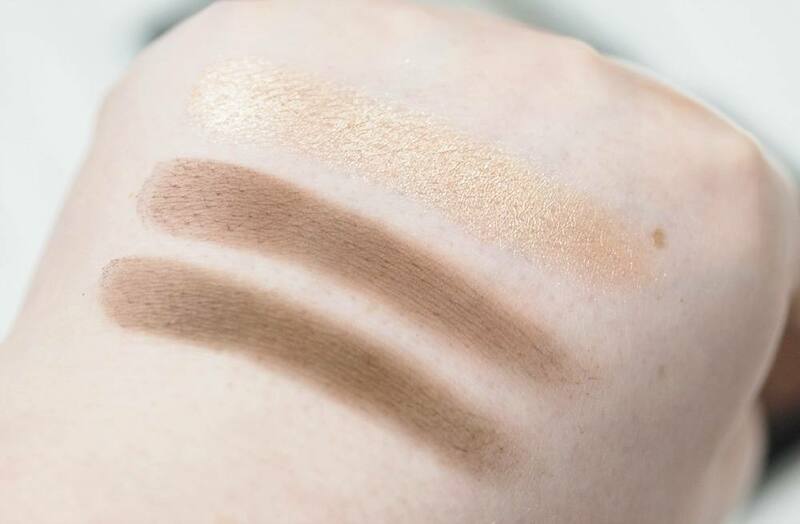 Shade 3 – a golden brown foil with a super creamy and smooth texture. Shade 4 – a silvery grey foil with an highly metallic finish. 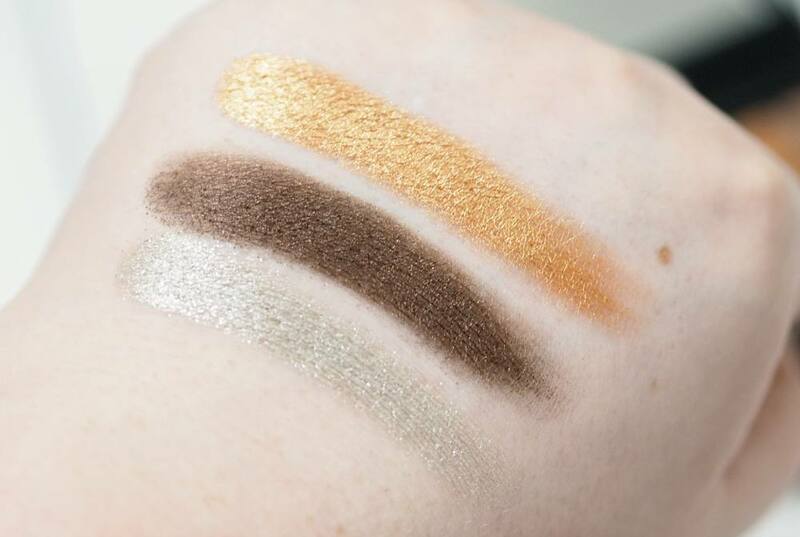 Shade 5 – a deep reddy toned chocolate brown foil with multidimensional golden sparkle – one of the creamiest, and most pigmented shadows I’ve ever tried and performs like a cream eyeshadow rather than a powder shadow, and no fall out either. Shade 6 – a bright warm toned gold foil with an highly metallic finish. Shade 7 – an intense dark brown matte. Shade 8 – a milk chocolate brown matte. Shade 9 – a rose gold foil with a very creamy and smooth consistency. I have read really mixed reviews on the Huda Beauty Rose Gold Palette with some loving the shadows whilst many hated them so I didn’t have high hopes for Desert Dusk Palette nor the Huda Beauty Smokey Obsessions Eyeshadow Palette but I have been seriously blown away. 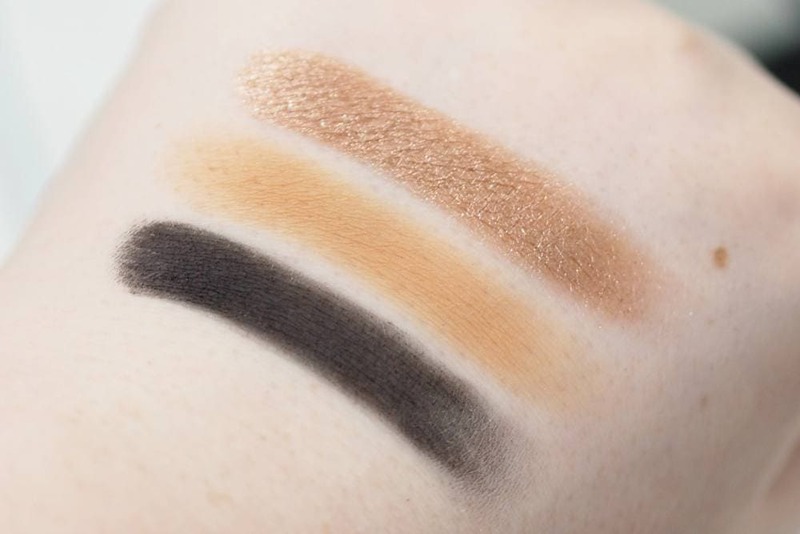 Everyone has been raving about the Mauve Obsessions and Warm Brown Obsessions Palettes, but the Smokey Obsessions Palette needs so much more hype and attention. I’ve only had this palette for the last three months, but it’s already made its way into my top five eyeshadow palettes of all time. I think £25 is such an amazing price for nine full size eyeshadows of this quality, especially with the five foil shades which are even better than the Makeup Geek Foil Eyeshadows in my opinion. 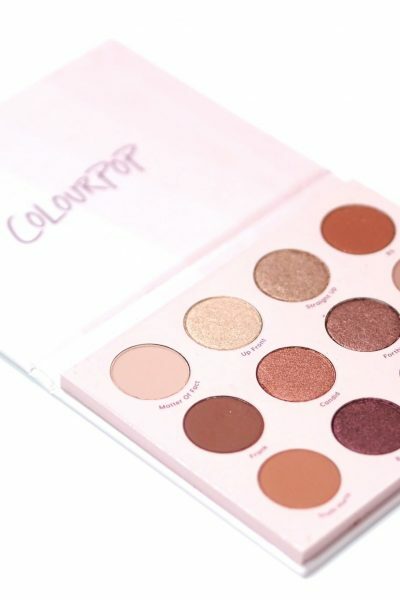 If you’ve been put off by these palettes as they’re so small, please don’t let their compact size sway you as the eyeshadows are a lot bigger than they appear within the pans and the pigmentation is so fantastic you only need to lightly tap your brush into the pan. 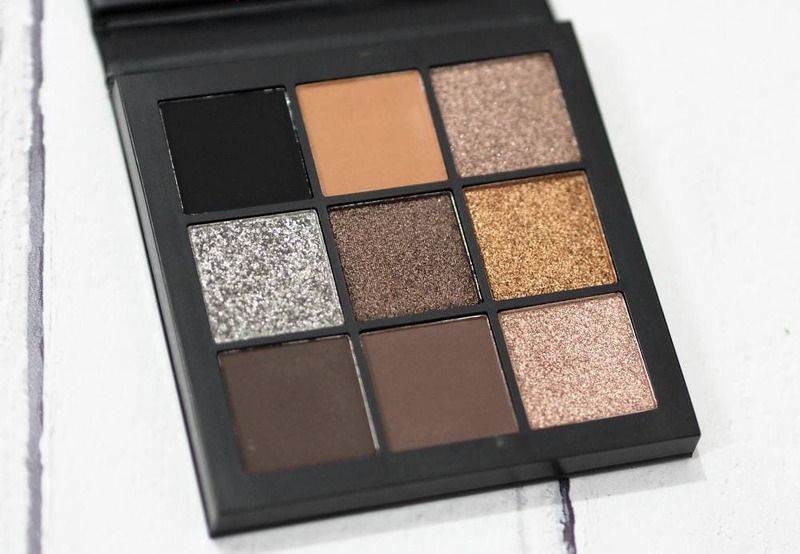 I have the Mauve Obsessions and Warm Brown Obsessions palettes on my wishlist, but the Huda Beauty Smokey Obsessions Eyeshadow Palette is going to take a lot of beating. Have you tried any of the Huda Beauty Mini Obsessions Palettes before?